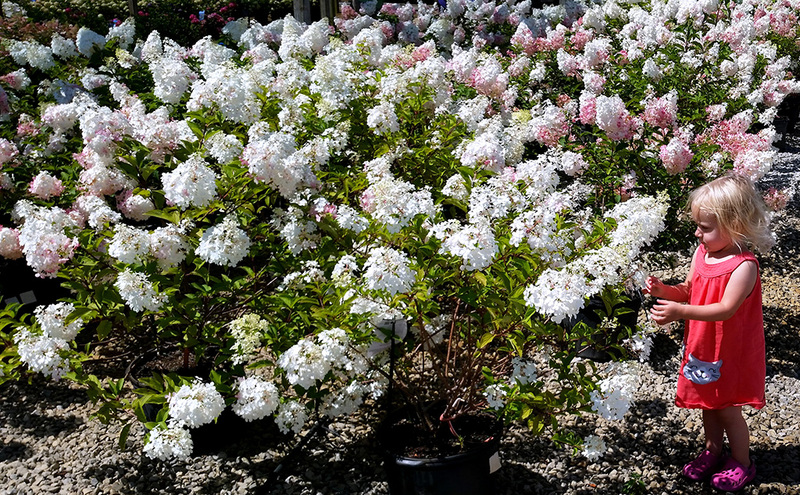 ‘Hydrangea Paniculata’ sounds pretty fancy. Native to Japan and China, these panicled Hydrangea differ from their big-leafed sisters. They can grow in full sun and can be a large multi-stemmed shrub or a single stemmed, small tree. One of my favorite Hydrangea Paniculatas is called ‘Vanilla Strawberry’. This easy-growing, sun-loving example was discovered in France. It features enormous flower heads that bloom green and transition over the season from green to a creamy white, then to a blushy pink and ending the season in a rich, rose red color. Not only do the blooms change color as they mature, but the entire shrub changes its habits. Because the bloom heads are so large and therefore heavy the branches begin to droop. Meanwhile, new flower heads continue to appear with the full range of colors from green to carmine. With every glance a different look appears all summer long. 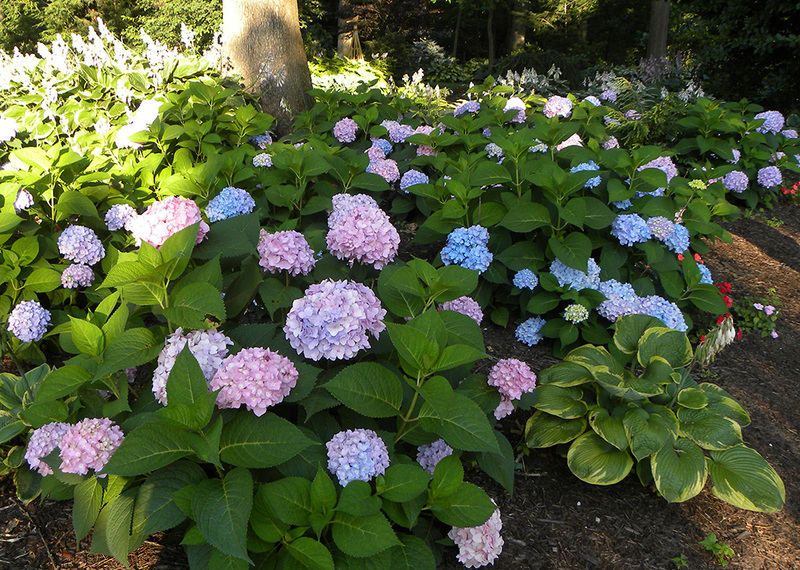 Many of us remember hydrangeas of the past which had great foliage and very few flowers. Today we are falling in love with hydrangeas all of again with varieties that we never could have dreamed of as kids. We grew up around plants so watching new strains being developed over the years has been very exciting.